Somebody already decorated their tree and put it outside their darling cabana striped birdhouse. 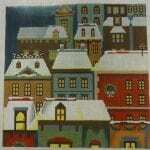 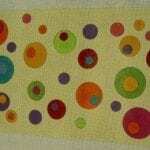 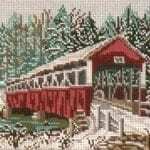 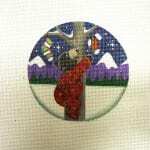 Painted on 18 ct. canvas by JP Needlepoint, this lovely measures 4-1/2″ in diameter. 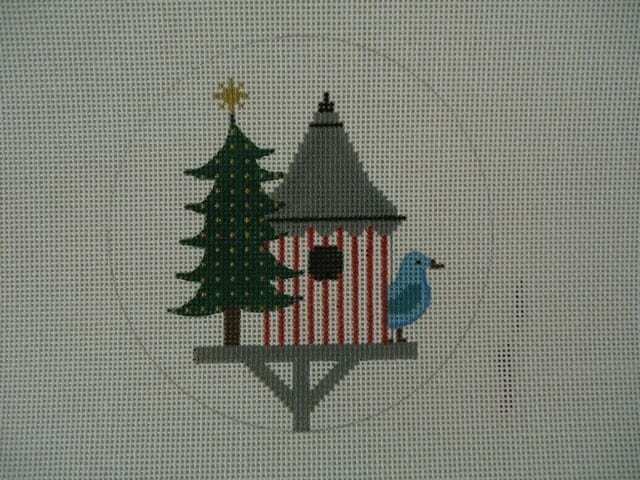 Great for your tree or a bird-loving friend’s!